These questions are from Leads Club members trying to learn about my services. Q1. How do you explain what you do in simple words? · commercial projects, and much more. · I specialize on ‘’green projects’’ but work with all projects. I resolve Red Tags as described in the next question and conduct workshop and presentations on Sustainability principles. I use a Sustainability Template that helps my clients make sustainable decisions. Q2. How do you handle a Red Tag (County Code Violation)? · Determine the Sections of the Code which were violated and contact the Code Enforcement Officer who issued the Notice of Violation. At times the entire scope of the job can be determined just by completing this step. · Conduct a Cost-Benefit Analysis to evaluate if it is a benefit to remove or demolish the work done without a permit or to proceed and get it recognized and approved. (This will include a Preliminary Property Evaluation Protocol*1). · Select professionals or assemble a professional team to prepare the blue prints to be submitted to the County or other local jurisdiction. Planning Departments do not approve anything without a piece of paper they can stamp APPROVED on. There are 2 phases in the approval process. Receiving the Zoning Clearance and then submitting plans for Building Department Plan Check. · Zoning Clearance is first and is a conceptual review mostly looking at the impact of the project on the environment and the community, with issues related to environmental restrictions, such as riparian areas, endangered species, land use/development standards, and basic infrastructure and public services, such as fire prevention, water supply etc. · Building Department Plan Check looks at the structure/building or house itself, its systems like plumbing, energy conservation, foundations, structural,etc. Involvement of Contractors--Usually involving Contractors comes in after I processed the plans and acquired the Building Permit. Unless, the project is really simple and does not require any zoning type of work then a Contractor or the Designer or Architect may accept to take care of the project themselves directly, and I can save the Client money. I make this determination in the beginning during the Preliminary Evaluation Protocol*1. Q3. Talk about zoning for residential versus commercial in the City of Capitola. A. Capitola has many Zoning Districts and the Code tries to protect the residential areas from tourist traffic and activities. Although, there are many vacation homes in Capitola. The population of Capitola may go from 10,000 to 50,000 people during Summer/vacation months, so the restrictions need to be substantial to encourage the natural market while protecting the community. Pls let me know if you need more info. Q4. How do out of area owners affect your ADU/home plans/permit processing business? A. Out of the area property owners are those that profit the most from my business as they do not need to travel and spend many hours waiting to be attended at the County or City offices or monitoring their house construction; in addition, I have a network of professionals that have the respect of County officials and it makes it so much easy and cost-effective for them to hire someone like me to be their Agent. Q5. You frequently talk about “County” but I live in the “City”- Can you compare County and City planning? 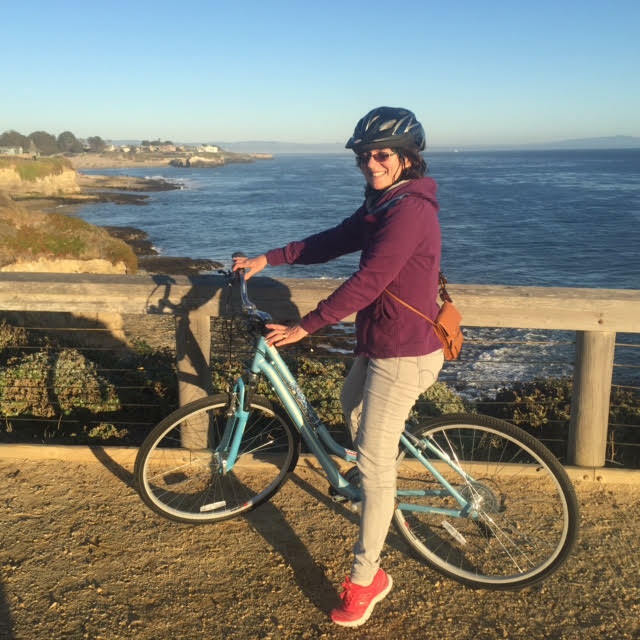 A few weeks ago I made a presentation at the Santa Cruz County Women's Leads Club. https://leadsclub.com/. Hope my message of "What is green building", or "What is a green project or a sustainable project" became a bit more clear to all the ladies. When I described a potential "green building subdivision" I may develop in the future in Brazil, building a "green home" wasn't mentioned. There is a difference between "green building" and "a green home". "Green building" is basically developing a project that protects the environment and respects the community, while it is still economically feasible and profitable to the property owner and an asset to future generations. It could be the project of a home, but also a subdivision, improvements to a school campus...etc. The relationship of the site or parcel with the environment and with the community, its infrastructure, access to public services and all the decisions that go into a development project can make it become green and sustainable—or not. I am a City Planner by training and 20 years of working in City Hall with the role of protecting the public good and promoting sustainable development. Now as a Land Use Consultant for the past 15 years in the private sector those skills with the utilization of my Sustainability Template helps me to develop projects as sustainable as possible. As has been demonstrated: sustainable projects are more resilient during times of economic hardship. 1. Helping a property owner develop a project-concept for a green project, new building, a home, a subdivision, the campus of a church or a school, a co-housing or for an affordable housing project, etc. The concept development is the most creative part of my profession. 2. Helping owners to sell a green home or of a project located far from urban amenities. My Sustainable Integration Package does just that. 3. Be a Speaker on sustainability and green building: sustainable projects, sustainable decision-making, plastics pollution in the ocean, and more. Are Your BPA Free Plastics Really Safe? Those BPA-free plastics you thought were safe? Think again. Inside the Big Tobacco-style campaign to bury the disturbing evidence about the products you use every day. Casa Folha, Casa Container e Residência Sustentável são de diferentes estilos, mas todas são casas brasileiras sustentáveis. Conheça! Um belo local de descanso para os estudantes da Universidade Técnica de Delft, nos Países Baixos. Wake Up to Climate Change! Extreme climate is affecting many people and will get much worse. Raising of ocean levels, acidification, combined with plastic and other oceans pollution is generating Ocean-Space-Planning much like Land-Use-Planning. Hope we can get Congress to support all the efforts to keep the ocean healthy and join hands with the majority of the people. The science is settled. Climate change is real, man made carbon pollution is causing it, and it's within our power to limit the damage. Everyone from President Obama and NASA, to major corporations and sports leagues knows that it is time to take action. Everyone, that is, except for Congress. Despite all the evidence about the reality of climate change and the damage it is causing, Congress has so far failed to do anything about it -- lulled to sleep through this crisis by polluting special interests. We need to send a clear message that the American people want Congress to wake up. Add your voice to this wake-up call. Tell Congress it needs to act on climate change. Check the chart on the increase of carbon dioxide over the ice ages in this short video "Climate Changers". CO2 was never so high! While California is taking action, some of those who oppose the move to renewable energy and cleaner transportation have mischaracterized the science of climate change in an effort to create artificial uncertainty about the existence and causes of climate change. For more information about California efforts, and to find out what you can do to help, please visit the Climate Change Portal.To learn more about climate change, we invite you to visit "Climate Changers": an innovative video initiative to share hot lessons and cool solutions. In the graphic above, planet, people and prosperity, or environmental (physical), social and economic, are the basic tenets of balance. If you notice, just about anything in the world reaches harmony by balancing these 3 tenets. You may even find origins of this trinity back in the works of Aristotle, as my son pointed out to me when I shared my graphic with him. The graphic is the work-sheet version of my business logo and I use it to apply the Sustainability Synthesis 101 (Suzy 101) - a framework for decision making. The goal of this framework/methodology/template is to reach a balance of the 3 elements- planet, people and prosperity or environmental/ physical, social and economic, now and over time. It works perfectly for land use/development matters; as well as for any other subject, businesses, government and personal decisions. It can also be an instrument to devise a marketing campaign if you like. 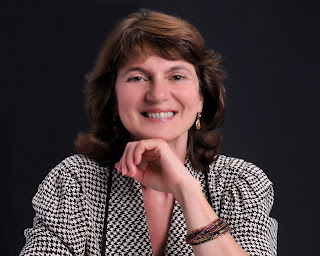 Suzy101 helps individuals, businesses, corporations and government make balanced decisions. At the personal level the planet corresponds to the human body, the people to your heart or happiness, and prosperity is self explanatory. If you like details of how it works, or have an important question or issue to resolve, where the question can be as simple as "What car to buy" or " What is the best strategy to grow my business?" to "Should the USA go to war or not,"just give me a call at 831 334 2383. I believe your decisions will be as sustainable as they can be and in line with the Earth and Humanity. Each application (one question at the time) takes approximately 2 hours of your time and a total of 5 hours of my work; but then... Snap! and a new solution surfaces naturally. You will then say: "I knew it all along but was hesitating... I had not seen how it is all connected and did not see the evidence for the long term. Now I have the courage and the confidence to take the first step no matter what!" I charge $150 /hour for decision-making services. Here I am giving you a great discount for my services. The flat fee is $500.00 for each application. Check it out! It really works. ** I did not "created" this template, I figured the formula of how a balanced decision comes to be. Are your important decisions sustainable? Today is your last chance to vote for Patrizia's Sustainability Synthesis. I am proud my sustainable decision-making framework has been accepted as one of the sustainable planetary solutions in this great competition. Competition sponsored by Sustainable Silicon Valley (SSV) and the NASA Ames Research Center. My solution teaches people how to evaluate the physical, social and economic impacts of their actions on parties affected, now and overtime. It could be made into a computer App, or described in a manual, but I need financial support. Check it out! STEP 1: Register for EcoCloud here: http://sustainablesv.org/ecocloud/index.php/register. STEP 2: Log-in with your account information at the top of the page here:www.sustainablesv.org/ecocloud. The United Nations Conference on Sustainable Development (UNCSD) is being organized in pursuance of General Assembly Resolution 64/236 (A/RES/64/236). The Conference will take place in Brazil on 20-22 June 2012 to mark the 20th anniversary of the 1992 United Nations Conference on Environment and Development (UNCED), in Rio de Janeiro, and the 10th anniversary of the 2002 World Summit on Sustainable Development (WSSD) in Johannesburg. It is envisaged as a Conference at the highest possible level, including Heads of State and Government or other representatives. The Conference will result in a focused political document. 1. Use your investment power to change the world for the better. Considering the life-cycle of products, taking responsibility for their products packaging and recycling, or producing goods that can be fully biodegradable and return to ashes once no longer have a useful life. 4. They consider the impact of their economic actions on people and the environment. 5. Make sure you review the Sustainability Report of companies you invest on, as well as their environmental and social governance- policies and procedures, not only their Profit Statements. 6. Companies that measure the impacts of their actions on the environment and on people have shown to be more sustainable and ultimately successful than their counterparts. Even the Iroquois American Indians when making important decisions first measured the impact of their actions up to the 7th generation. Definitions: Sustainability as I define it is to reach a balance of physical, social and economic demands now and over time. Basically, every company that evaluates its actions to minimize and prevent negative impacts on the environment (physical) and on people (social) now, and overtime is in my opinion a sustainable company- a company worth investing on. Sustainable Decision-Making in a Snap! If you would like to see a larger version or print the flyer, please Download the PDF. 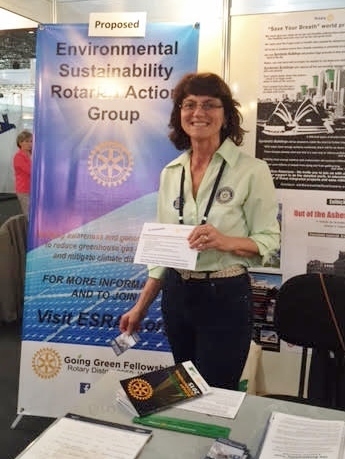 The Rotary Club of Scotts Valley's Sustainability Committee, headed by memberPatrizia Materassi, land use consultant and sustainability specialist, supports this Rotary global program, consisting of clubs all around the world. Members address the sustainability of our planet at all levels. Plastic litter washes up on a remote beach in Laysan, one of the northwestern Hawaiian Islands. "The Report argued that sustainable development could be achieved by an integrated policy framework embracing all three pillars of sustainable development (economic growth, social equality and environmental sustainability)....The Panel calls for this new approach to the political economy of sustainable development....That sustainable development is right and self-evident. Our challenge is to demonstrate that it is also rational — and that the cost of inaction far outweighs the cost of action." The Vision and recommendations are educational to individuals and serve as sustainable development guidance to governments and corporations. Patrizia' Sustainability Synthesis can be a tool to reach this Vision. I hope we soon reach a threshold of people aware of this "asteroid" hitting the earth and we all start working on it faster. If we make personal sustainable decisions our decisions will make the change needed. 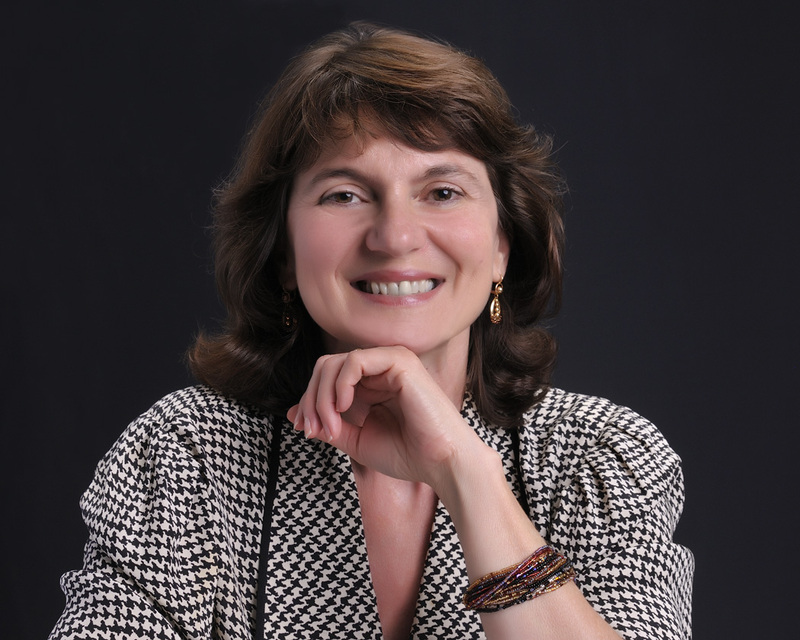 Check Patrizia's Sustainability Synthesis to learn making sustainable decisions, personally and professionally. 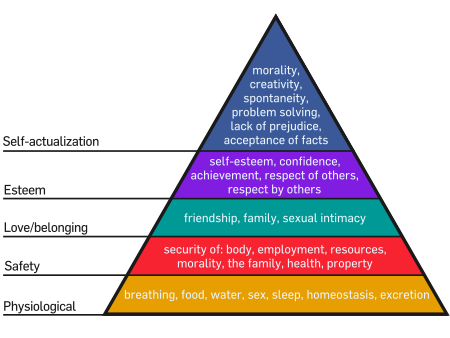 Patrizia's Sustainability Synthesis (PSS) is in line with Abraham Maslow Theory of Human Motivation, in that basic physical needs come first, second your social needs, and third your needs for success/self- actualization needs as in Maslow's pyramid. However, in the PSS all needs ought to be balanced as they are all related and present on the individual. One could not have food and shelter if he/she did not have a minimum level of achievement/success/or basic income.